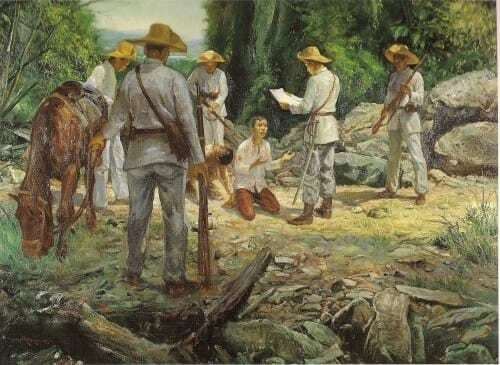 It’s surprising to know for some that while Aguinaldo denied having anything to do with Luna’s murder until his dying day, he readily confessed to having ordered Bonifacio’s execution. 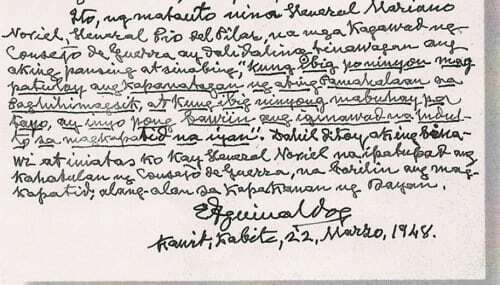 On March 22, 1948 (the day before his birthday), Aguinaldo released a letter saying he was indeed the one who ordered the execution of Bonifacio and his brother Procopio (the letter was certified authentic by Teodoro Agoncillo and published in his book ‘Revolt of the Masses’). Agoncillo, T. (1956). 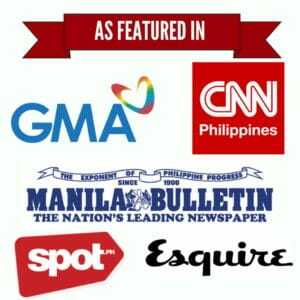 The Revolt of the Masses: The Story of Bonifacio and the Katipunan. University of Philippines.